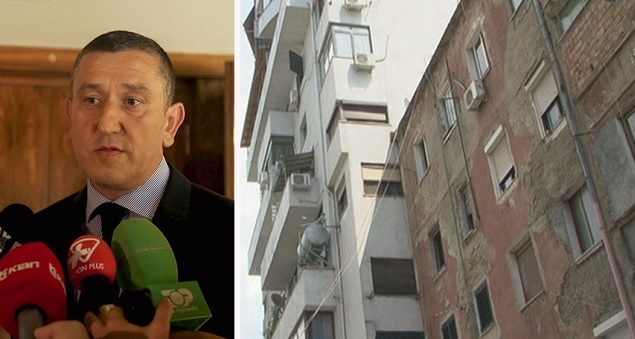 A 37-year-old woman committed suicide by jumping to death from the balcony of her apartment, in Tirana. News sources say the victim is Enkelejda Hallunaj, the wife of the Serious Crimes Court Judge Dritan Hallunaj. The tragedy took place at around 13:16 minutes, near Municipal Assembly No. 5, in Tirana. Preliminary information from Tirana police does not give details of the 37-year-old who found immediate death. "On 02.08.2018, at around 13:16, it is suspected of being thrown from the balcony of the palace, the citizen E. H., about 37, who found immediate death. Work is being done to further clarify the circumstances of the incident," the police announced. The Judge Dritan Hallunaj was reconfirmed yesterday on duty by the Independent Qualification Commission on the framework of the Justice Reform. The Democratic Party criticized strongly the Independent Qualification Commission, calling it the gadget of the Prime Minister Edi Rama.